Our team of dedicated professional engineers has decades of commercial water treatment experience. Over the years, we have built a reputation for designing efficient, high quality commercial water softener systems. Our 85TA Series softeners provide up to 16.6 gpm of soft water operating as a twin alternating system. They are engineered and thoroughly tested to provide years of reliable, trouble free performance with minimal maintenance. Our 95STS series single valve softeners provide up to 44gpm of soft water. The system is engineered and thoroughly tested to provide years of reliable, trouble free performance with minimal maintenance. Our 95MTS Series softeners provide up to 308 gpm of continuous soft water. * Flow rates of up to 44 gpm per tank and the ability to control up to 8 softeners from a single controller. *based on an eight-plex system with one tank allowed off-line for regeneration at all times. 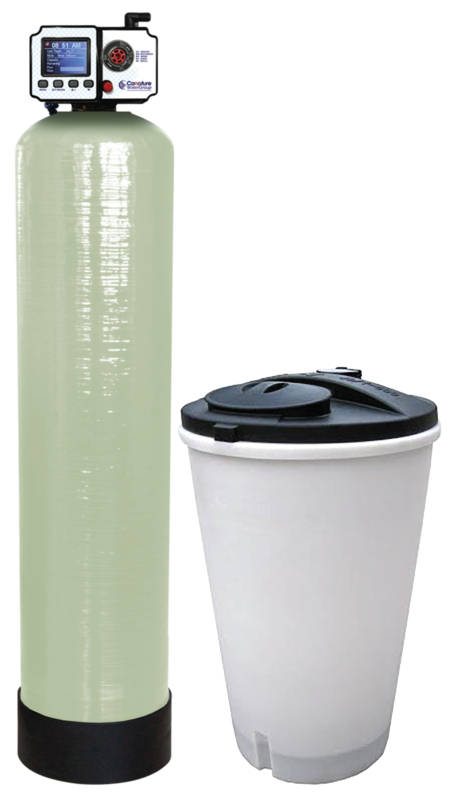 Our 105MTS Series softeners provide up to 462gpm of continuous soft water. * Flow rates of up to 66 gpm per tank and the ability to control up to 8 softeners from a single contoller. *based on eight-plex system with one tank allowed off-line for regeneration at all times. MVS softeners can soften up to 885 gpm* of soft water, based on a quadplex system with one tank off-line at all times for regeneration. Available in single, duplex, triplex, and quadplex operation. Our CWFHF Series softeners provide up to 885gpm of soft water. * All systems are available in single, duplex, triplex, and quadplex operation. *Based on quadplex system with one tank allowed off-line for regeneration at all times.